I read this article and found it very interesting, thought it might be something for you. 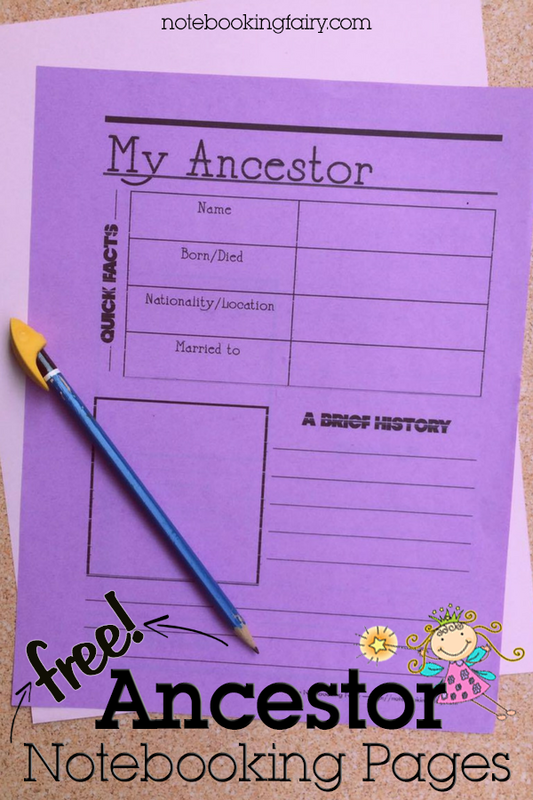 The article is called Ancestor Printable Notebooking Page and is located at https://notebookingfairy.com/printables/. I received a special request for a notebooking page about an ancestor. What a great idea. 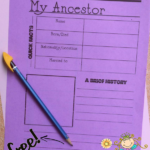 This page is perfect for genealogy or expanding on a family tree. It could also be a nice way to honor your great-great-grandparents on Mother’s Day or Father’s Day. The pages include room for a picture of the ancestor, a box for quick facts, and lines for writing stories or history. This is especially good since they have just released the 1940 census. This is a great idea! Is there a way I can make them smaller to fit in a photo book (about 4×6)? Yes, you can do this with your printer settings. 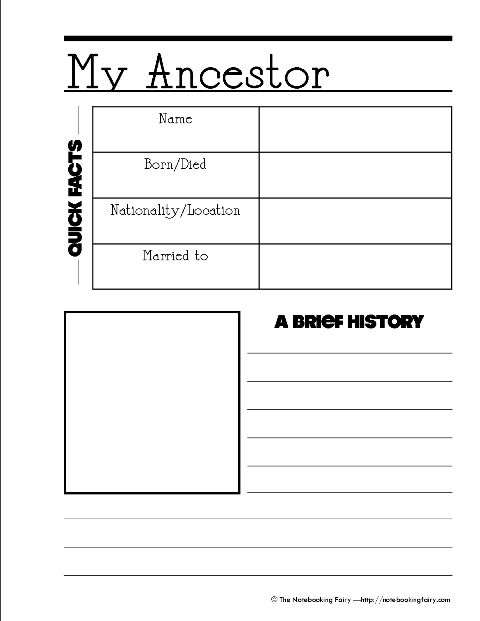 I printed the “Ancestor Notebooking Pages” for my nephew. So that he may document his ancestors on both sides of his family. I can only supply him with part of his father side. I wish I had this when I was his age. Great idea! Wish I had had this when we did our historical newspaper project! Jimmie, I love this idea! I did extensive digging into some of my own family’s genealogy years ago, but haven’t yet done it in my homeschool with my kiddos. I think this page is the perfect place to start . Thank you for a great resource!